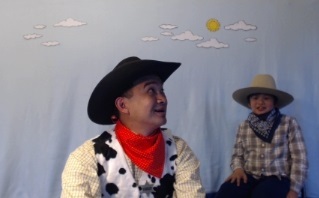 The Cowboy Pinoy is the main character of a live interactive Children's series - promoting classic Americana songs and education for both Pre-Schooler and early Grade School via sing-a-longs and quick and humorous bits. 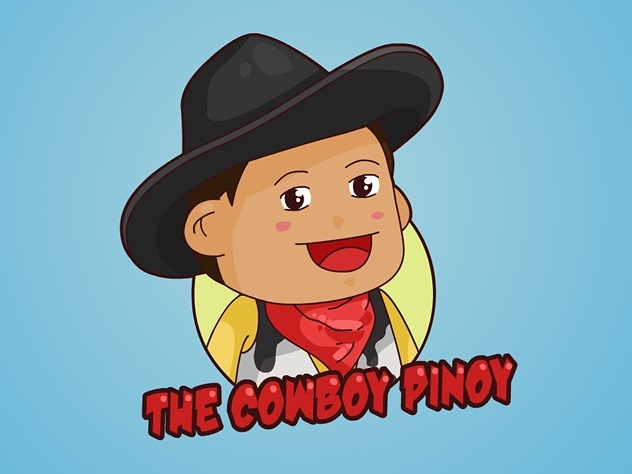 The series tells the tales of a silly Pinoy Cowboy who hits the great old plains and ridin' the range of the virtual world to do good deeds on his trusty carabao, Honora-bull! Remember, your hours WITH your child are precious! Pledge $5 or more per kids show. $7 of $200 per kids show. One aspect that I've been working on with the show is to have a consistent look and feel and a way to bring many of the back stories 'to life.' --to show the Cowboy's daily environment and lend itself to many visual story-telling. One method that the "Mom team" and I discussed was to bring back the classic felt backdrop to bring back the tried-and-true "special effects" that we all loved in our childhood. This will allow us to creatively add characters, objects, and places throughout the broadcast. 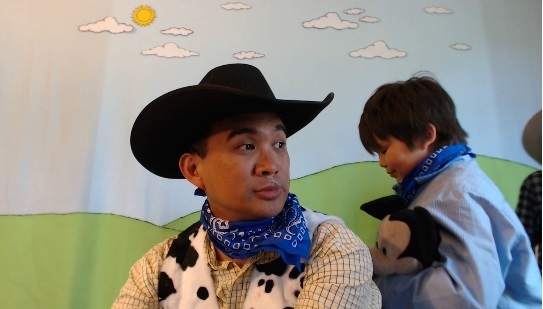 Games such as "where's the Cowboy's boot?" have been an on-going and entertaining story arc. Another step towards completion, we have the fundamental landscape!